I was always a bit taken off guard when I’d hear her say this because Marj rarely seemed to have any interest in the future, or for that matter, the past. She was the most in-the-moment person I have ever met and a statement of this kind seemed out of character for her. Yet it was a theme she came back to with some regularity. She never elaborated on how and when she thought this science might develop but she seemed sure that someday it would. It called “The Twister” and I’m sure Marj would have loved it – and probably would have wanted to try it out herself! 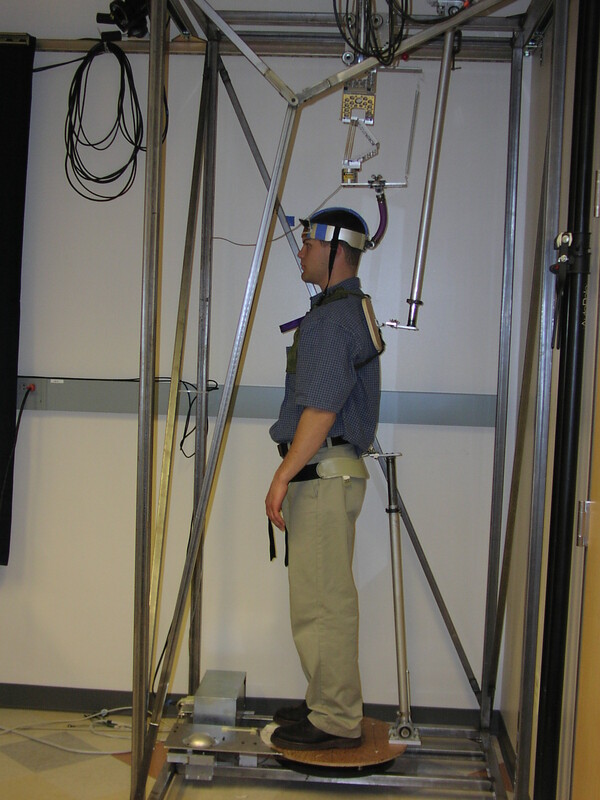 it was developed at the Oregon Health and Science University and used by Dr Tim Cacciatore, PhD to measure, among other things, the effect of Alexander Technique lessons on postural tone. Dr Cacciatore is now a neuroscience researcher at the Institute of Neurology, University College London where he is engaged in a series of studies on this general topic. He also happens to be certified as an Alexander Technique teacher. You can see a video about the Twister here. The first few of these studies have been completed and the evidence is now pretty clear that lessons in the Alexander Technique change the way anti‐gravity muscle tension is regulated, reducing stiffness along the spine and in the hips. You can read these studies here, and listen to a podcast interview about them with Dr. Cacciatore here. Actually, for some time there has been growing evidence of connections between the Alexander Technique and neuroscience. As Henry Fagg notes in a recent article in STAT News: “Over the last decade there has been an explosion of neuroscientific evidence which is of possible relevance to, even if it is not explicitly about, AT.” Cacciatore’s studies are the latest, and certainly the most explicit, manifestations of that trend. So how was it that Marj Barstow, with absolutely no formal scientific training, could be so sure this would happen some day? 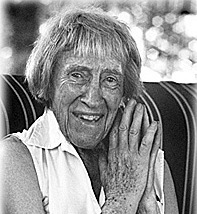 Certainly it had something to to her over 60 years teaching during which she was always trying out new ways to teach. She once told me that she had been thinking about and experimenting with Alexander’s discoveries every day since she first read one of his books in the early 1920s. Marj just knew that science would someday begin to understand the mind-body link that she was living every day of her life. Can you imagine Alexander’s discoveries having an influence on the development of neuroscience? Can you imagine developments in neuroscience influencing the ways in which his discoveries are taught? Seems like a fertile field for exploration. Robert Rickover is an Alexander Technique teacher in Lincoln, Nebraska. He also teaches regularly in Toronto and offers Skype sessions. I am always interested when discoveries in neuroscience seem to have a relationship with what I experience from studying the Alexander Technique. It does indeed seem to be a potentially fertile ground for research, as long as that research is well designed and conducted. As a side note, I am utterly fascinated by Marjorie Barstow telling you that she thought about Alexander’s work every day. It is this kind of passion, this kind of experimentation, that I believe is the key to progress in this work (and other fields too). I am always humbled when I hear of such dedication. Beware of Body Bullies Behaving Badly! This site sponsored by ICON: Learn to be a personal trainer with a PT instructor course from ICON training UK.